I want to do more book reviews on my blog. Similar to when I go to seminars, I like to take notes, highlight the best takeaway information, and then organize them into a review. Like a previous blog post, I write these reviews and descriptions to help me get some of my thoughts about the subject on paper (or computer). 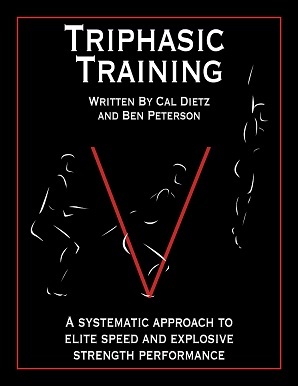 The first book I want to talk about is Triphasic Training by Cal Dietz and Ben Peterson. Before I get into the book, I wanted to take the time to mention Cal. I’ve known Cal now for the past 12 years. Back in 1999, Cal graduated and moved on to the University of Findlay from his Graduate Assistant position at the University of Minnesota. I was fortunate to be able to replace him at Minnesota. Cal was then re-hired as the Head Strength and Conditioning Coach for Olympic Sports at the University of Minnesota a few years later right after I graduated and departed for the University of North Dakota. Since then, Cal has done an unbelievable job with U’s athletic department. The teams and individual athletes that he has coached have been very successful. Along with being a successful strength and conditioning coach, Cal is a very bright and is also a really good person. Most of the time when I speak to Cal about strength and conditioning or what he is doing with his athletes, I honestly feel dumb. There are times when I really have no clue what he is talking about and things are just way over my head. When it comes to being a good person, I know from a personal perspective. I will never forget being at the Rochester Mayo clinic in Minnesota for a major surgery that I had to have done back in 2005. It was a scary time for me and my family. Cal and his wife Karyn, a former USA hockey Olympian, made the trip down from Minneapolis to come visit me as I was recovering. I thought that was really neat and it is obviously something that I will never forget. Triphasic Training is a really good detailed description on the methods of Cal’s strength and conditioning philosophy. What I like most about the book is that the information is laid out in a very comprehensive manner that even I understood. Cal tells stories and makes comparisons to some of the athletes that he has coached to make points more clear. What is triphasic training? From what I am taking away from the book, it is how Cal manipulates the “tri phasic” actions of applying stress to the body. Eccentrically, Isometrically, and Concentrically. There are so many ways that the strength and conditioning coach can apply stress and you will learn several of the methods that Cal uses. Not only will you learn the methods, but more importantly, the why. To be honest, there are times when I feel a little overwhelmed by the whole Russian training methodology. Sometimes I feel that I need to read up on all of the author such as Verkhoshansky, Medvedev, etc. Or, just read Supertraining over and over again. For me, Triphasic Training has made understanding what those guys are talking about a little bit easier. The concept of block periodization is something that I could see working in the collegiate setting or in an Olympic training type environment. Having your athletes available to train with you for up to 48 weeks per year makes such a difference. The more time that you have with your athletes, the more you can do. From my understanding, block periodization is spending more time on one fitness quality over others. For example, in a strength block, the athletes would be spending more time with higher loads and less volume. In an endurance type block, there would be more of an emphasis on higher volume with lighter to medium loads. I guess I am more of a concurrent periodization coach while also alternating strength and accumulation phases. We always work on getting stronger, getting faster, getting more powerful, and getting in better condition. For my situation, the reality is that I don’t get the opportunity to train my athletes year round. With the exception of 3-4 of our players, our guys are gone from season’s end to the next season’s beginning. So, I don’t get to spend 48 weeks per year with them. Our job as strength and conditioning coaches is to apply stresses to our athletes in the safest and most effective ways as possible. Triphasic Training is a great resource for learning the way that one of the best in our industry does it. Get Triphasic Training here. Great stuff as always Sean. During my kayaking years we utilized block training ALOT…in fact most of the research Issurin did was on Sprint Kayaking. There are three schools of thought in regards to block training (from what I can tell)….Issurin, Verkhoshansky (http://www.verkhoshansky.com/BlockTrainingSysteminendurancerunning/tabid/111/Default.aspx) , & Bondarchuk (http://evergreenathletic.org/drbondarchuk/). I know the Issurin program pretty well and may be a little outdated but still good. 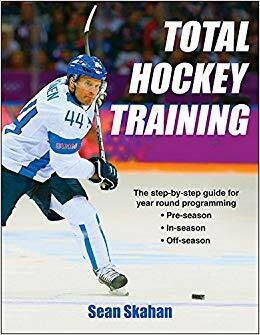 After returning from Athletes Performance and having a great conversation with a US Track & field Coach (Ty Sevin) I am reading up on the Bondarchuk method (which i think i like the most). I think his style may help your situation a little better. Check it out! Thanks for the review. I have just downloaded the e-book and after reading your review I am even more eager to read it. I also struggle with block/mixed approaches, especially in team sports with short pre-season and long in-season. I think there are different ways to skin a cat, but I am more leaned toward mixed approach in this case. I like the Dan Baker approch – combination training where you change emphasis and maybe specificity of the exercises aimed at certain qualities. Thank you Mladen. I actually read some of your work regarding repeated sprint ability- great stuff! I got a lot out of Cal’s book. Here is an article I did called Ten Takeaways from Triphasic Training. I am experimenting with the concepts with the Bantam team I am working with. Good luck with your upcoming season, except when you play the Sharks! Thanks Dennis- I will read this.